ENTRIES NOW OPEN FOR 2017 – WE NEED YOU! IMPORTANT! RIDERS BRIEF FOR SAT 16th SEPT 2017. 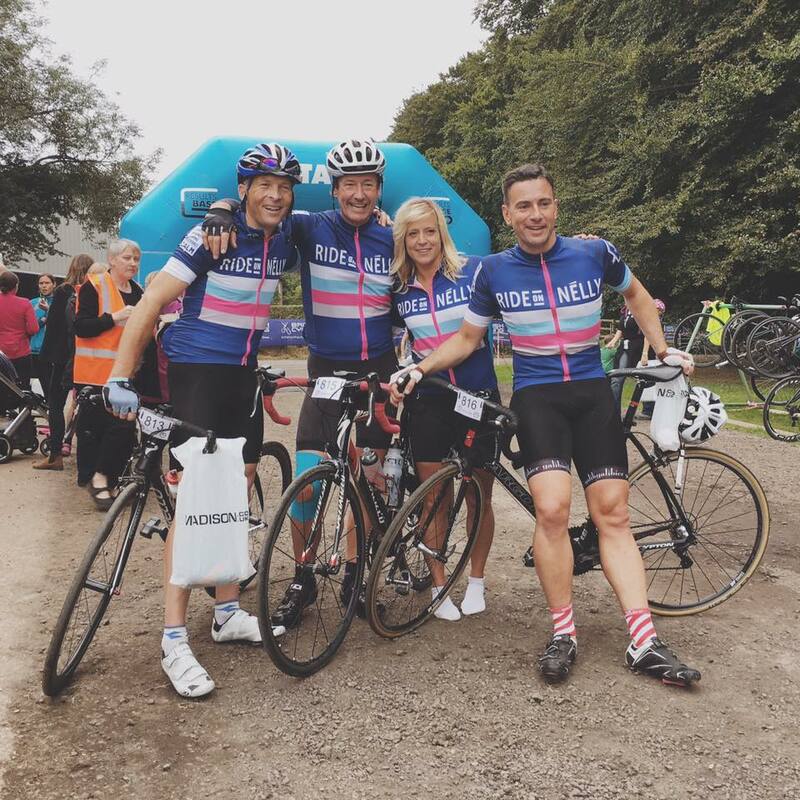 A week has passed since your heroic efforts and beaming smiles at Nelson’s Tour de Test Valley, we hope the legs are nearly back to normal! CALM and us here at the event truly cannot thank you enough, not just for helping us precious money for CALM, but also for the special atmosphere and amazing memories you provided on the day. It means so much to Nelson’s family and friends that his legacy lives on, and you’re helping forge a fantastically positive outcome from such a tragic loss. He was a special person and that resonates through you and the event. You were one of nearly a 1000 riders taking on the Test Valley’s stunning roads, our biggest number ever! 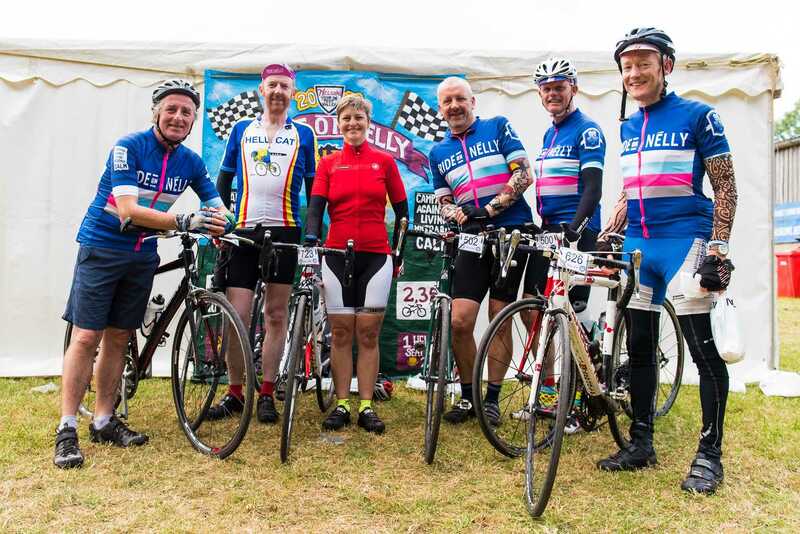 It was so amazing to see cyclists of all ages and abilities – from families and 7 year olds on mountain bikes taking on their first big ride, to distinguished gents on sleek deep rimmed carbon machines destroying the 100 hard miles of the Full Monty. Brilliant to witness and for anyone that bought a jersey or cap – you looked very dapper! There were some standout efforts, both in the saddle and in raising money. 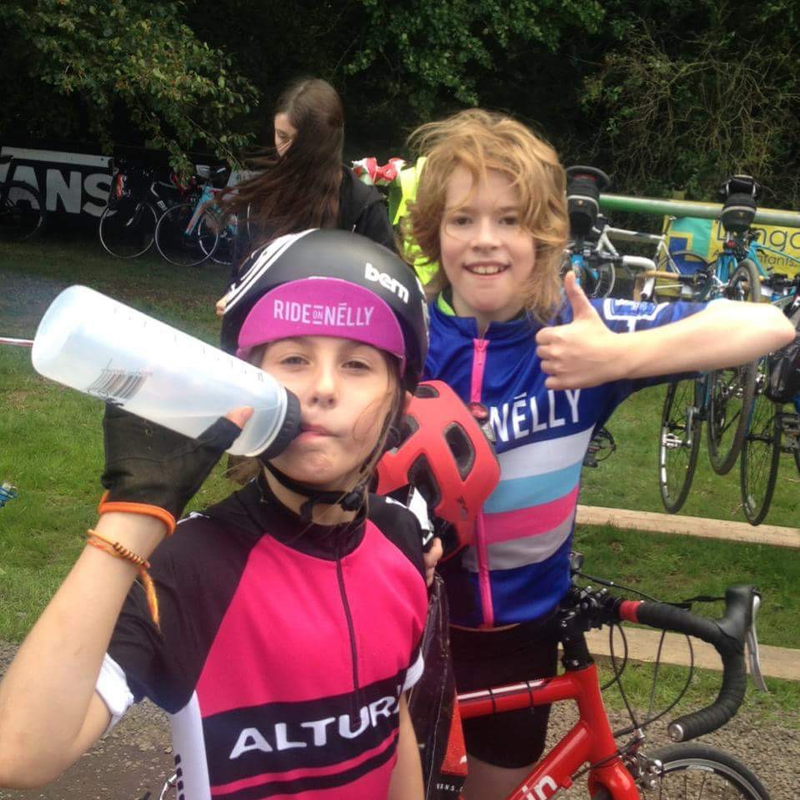 Mia Brookes and Ewan Sladen (aged 11 & 12) tackled 25 miles and raised over £1000 between them. Rhys Cooke and Kayleigh Cooke (aged 7 & 10) returned to slay the 25 route, and 15 riders from Bain & Co raised over £4000 between them. There was also over 30% women riding on the day, we hope this number continues to rise more. We salute all of you. Mia & Ewan still smiling at the end! The reason why we’re doing this event is the facts surrounding male suicide are truly mind boggling. Suicide is the largest killer of men under 45 in the UK, of these suicides 76% are men. In 2014 4623 men took their life, that’s 12 men a day, costing the country roughly £20 million a day. If this list of facts doesn’t make you gasp for breath then I’m not sure what will. With your help CALM is leading the fight to reduce these figures dramatically, money goes straight to the frontline services such as the call centre and web chat – essential services to help people suffering. More details here. CALM and us will announce the final total raised as soon as we can, donations are still coming in and we’ve still got a few bills to pay. We are really confident it will be a huge amount again. All profits from the event go directly to CALM with every penny so valuable. We will publish the figure on the website and social media very soon. Please see info graphic for the impact the event has had in last 3 years. Here’s a link to the CALM news piece on the day, lots more photos from the day and all your finishing pics to follow next week on this blog. We have to say a MASSIVE thank you to all the partners and sponsors that help make this event happen, without them nothing would be possible, so a huge high five to: Vans Footwear, Langdowns DFK, Knight Frank, Madison, Harry Lodge from Halo Sports, Andy Cook Cycling, Propello Cycling, the amazing team from Stockbridge Oesteopath Practice, and Abbots Anne Cycles. Plus a massive thanks to the Pratt Family, the caterers, Medi-Bike riders and Ricky Hill on his bike, Ivan’s Coffee, Pimhil Farm for the muesli, Gary Harris Bike Mechanics, Sportive Photo, Results Base, Marco for providing the toilets, John Sarah, Stacey, John and the Army guys for running the bar, Dale Stiling for another awesome jersey design, Olympic snowboarders Jenny Jones and Aimee Fuller, and all the amazing friends and volunteers who make the event happen. Without them nothing would be possible. I’m sure we’ve forgotten someone – sorry! Jenny Jones with the Knight Frank Hungerford team. We’d love to hear your thoughts, good or bad, so if you’ve got 2mins send us an email. How can we make it better? Feel free to have a rant! We will announce a date for 2017 very soon and launch online entry. We hope we can twist your legs to come back next year! Cheerio for now and thanks a million again from all the NTDTV Team and CALM. The Pratt family, Marcus & the NTDTV Team and CALM.